A small plugin to create ABAP favorites list for transactions and urls. Editing of entries now available. Favorites view you can add Folders which are dependent or not from the SAP system as well as you can create a Folders with Development objecs. 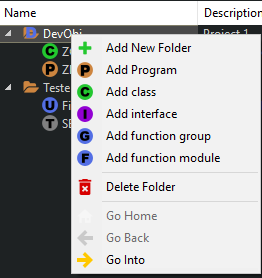 The difference is that The Folders which are not favorites of DevObjects are opened as "Run", where DevObject Folders are open in editor. 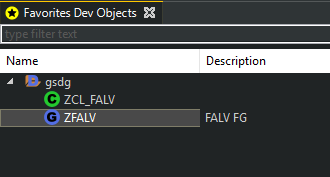 For Favorites Dev Objects view, you can store there only DevObjects folders, so every entry is opened in editor. By adding the following code below to your website you will be able to add an install button for ABAP Favorites. Very good and almost required install if you are using ABAP. 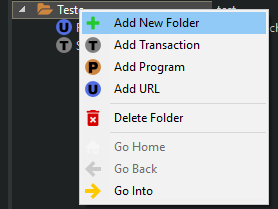 I haven't figured out how to move items between folders yet, but they are easy enough to just delete and recreate. Keep up the great work! This is great. 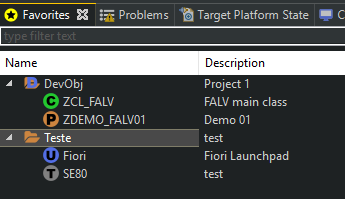 Now allows me to move 'Current Work' to it's own Project folder. Excellent tool just got much better. Anyone doing ABAP in Eclipse should be required to have this installed. Thanks Jerry for kind words.